My wife and i visited this pub on Sat [18 Feb] for a drink before going back to our Guest house. Nice pub ,good selection of drinks and friendly staff and locals.They certainly made us welcome considering we were total strangers to the area.Hope to go back there some time. 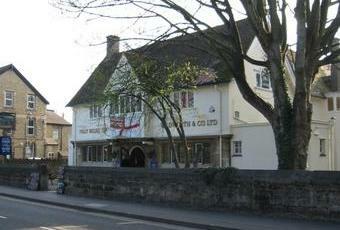 Down to earth pub offering well kept beer and good quality and well priced home cooked food. It does appear a little run down in places but this is countered by the good beer and food. Useful and cheap to hire function room upstairs which hosts a variety of local clubs etc. Seems to have a varied clientele but is not so overly locals / students that you would feel out of place. A couple of screens in the bar area but volume was not so high that you could not have a conversation. Not a bad place and good beer and food give it a higher score in my book. A bit of a locals pub by the feel of it. Very friendly and cheap beer but a bit scuffy.